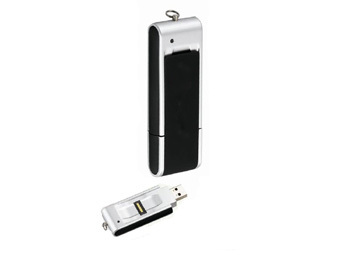 This state of the art Biometric USB flash drive or Biodrive offers you the latest in data security for both data storage and exchange, the high resolution Swipe fingerprint reader ensures that only Registered Users have access to the information stored on the drive, and is even more secure as fingerprints cannot be lifted from this device. Industry leading fingerprint “live-skin” sensing technology provides high accuracy and speed of scanning fingerprint images. Advanced Encryption Standard (AES) - 256Bit key. Using state-of-the-art encryption technology, all data written to the secure partition is seamlessly encrypted using the AES256bit key. Virtual Disk can hide confidential data partition, Only the authorized user can see partition label and access the disk data.